As you know, O loves everything and anything to do with space. In January 2017, she researched eclipses as she wanted to find out all about them. 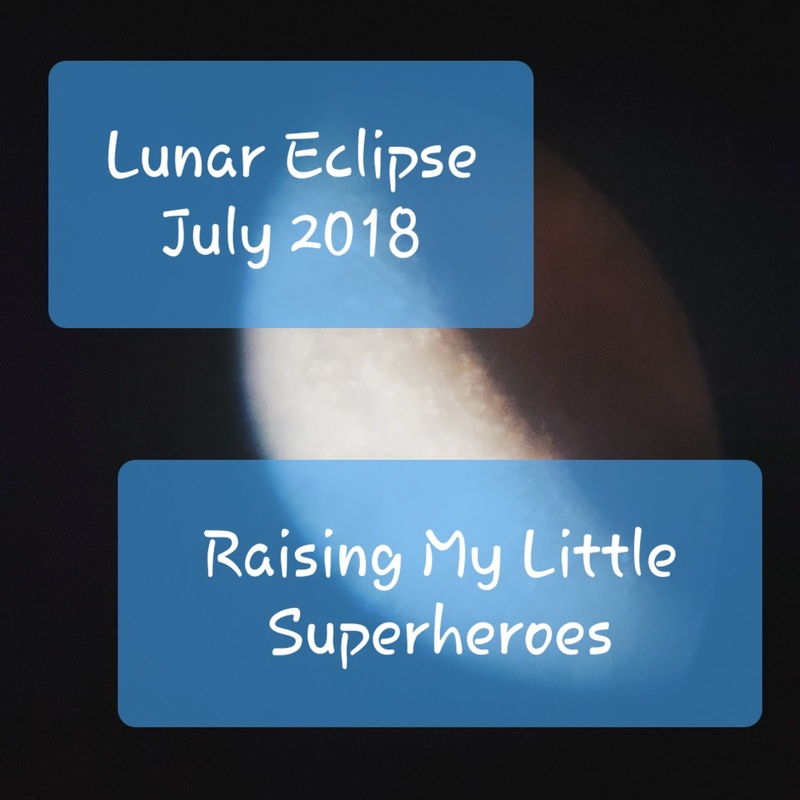 Her goal for last year was to watch a lunar eclipse but alas we were never in the right place at the right time to watch an eclipse. Her highlight though of last year was getting to meet Dr Scott Parazynski, a former NASA astronaut who also happens to be the only person to have both flown in space and climbed to summit of Mt Everest. So when she worked out that there was a lunar eclipse this year that we would be in the right place at the right time to view, the alarms were set. 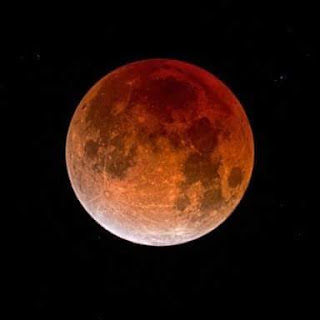 As O said "It's going to be the longest lunar eclipse THIS century and the moon will turn bright red during the eclipse. We HAVE to watch it. Please!" How could we resist! The clouds in the sky prior to us trying to catch some sleep eye were rather ominous. But to our surprise and delight the skies were clear in the early hours of the morning on Saturday the 28th of July. The moon was magnificent and to O's delight we were able to spot Mars very clearly. 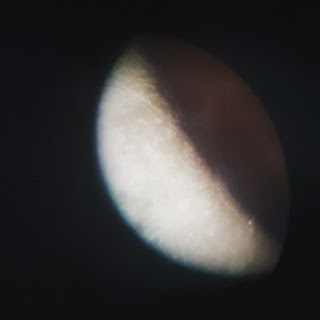 It still amazes me every time we gaze at the moon through our telescope. The sight of the moon never gets old! The eclipse began at 3.14am. This was the Penumbral stage when the earths penumbra, or shadow, began to touch the Moon's face. The spectacular part of the show started about an hour later and oh my gosh, I don't think I have ever seen O so excited! Lots of bouncing and stimming!! L got up, saw the eclipse and then prompted decided to go back to bed! O on the other hand wanted to stay up and watch the eclipse for as long as we could. Unfortunately for O, the moon dipped behind the trees and we weren't able to watch it turn red. However it pays to have friends who were able to watch this phase of the eclipse! So, where were you when this eclipse occurred?